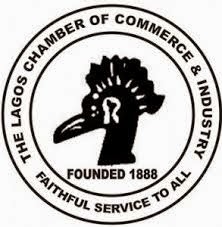 Lagos Chamber of Commerce and Industry (LCCI) has unveiled plans to host Information Communications Technology (ICT) Expo tagged ‘ICTEL EXPO’ which is scheduled to hold at the Federal Palace Hotel, Lagos between 15th and 18th of April, 2015. ITRealms learnt that ICTEL EXPO 2015 which has the theme “Connecting Businesses, Creating Opportunities” offers four days of inspiration, innovation and information”. LCCI is an event which aims to bring together the stakeholders in the ICT industry, both indigenous and international that will last for four days. ITRealms also reports that application for participation for the ICTEL EXPO 2015 is open for brands, organizations who want to seize the opportunity provided by the platform to give visibility to their products and services. The EXPO also promises to provide excellent networking opportunities for business decision makers, innovation mangers, enterprise solution providers, startups investors and all other stakeholders in the ICT industry.